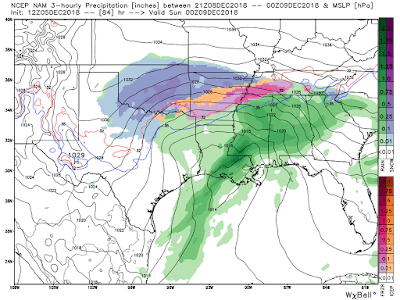 Ryan's Blog: Saturday Snow, Sleet, Ice, or Rain! Wednesday Update. Saturday Snow, Sleet, Ice, or Rain! Wednesday Update. Friday looks fine. Outside of a few pockets of showers or sleet, Friday is not concerning. Saturday is the main day. All modes of precipitation are possible: Rain, sleet, snow, and freezing rain. Travel impacts are becoming likely for areas NW of Highway 67. Possible for areas SE of Highway 67. 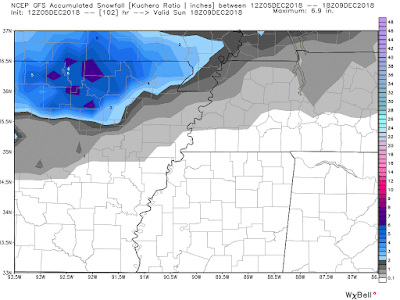 It's still too early to nail down accumulations with accuracy. When we are 4 days out, it's typically the time to start focusing in on making alternative plans. I do think this storm will impact a large part of Region 8. I do think we will have some travel issues. A lot of the precipitation will be falling during the daytime hours on Saturday, so that may help the roads stay a little more clear. Time will tell. In summary, something is going to happen on Saturday. We will have a much better grasp on the details tomorrow morning.